Sooo, we’re still working out what, exactly, our Valentine’s Day tradition will be. I blame the baby, of course, because that’s always easiest. Our family tradition since we’ve had kids has included a breakfast table decorated with valentines at each spot, a special meal and dessert, and a small gift for Kai like a helium balloon, stickers, or a few chocolates. Sometimes we’ve taken a trip as a family to the local coffee shop to get a treat. This year we just got too busy (read: sickness!) to add a real honest-to-goodness tradition to the mix, but I was very close to doing this sweet idea. There’s always next year, right? 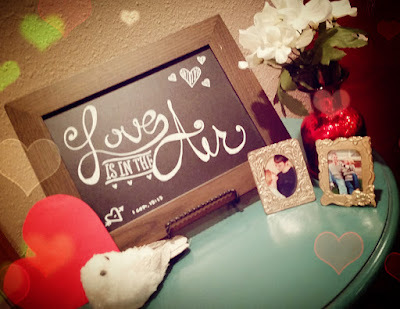 There is one thing we always do: celebrate our anniversary on Valentine’s Day. Ry and I got married exactly two years after the first time he asked me out, on December 29th. So now during the most wonderful time of the year, our family calendar looks like this…Christmas Eve, Christmas, our wedding anniversary, Sylvie’s birthday, New Year’s Eve, and New Year’s. All in nine days. That’s almost too much celebrating. Some of our milestone anniversaries were spent on an amazing vacation (Myrtle Beach! Riviera Maya! ), but we knew that for our 15th, things would be a little bit different. So we gave each other extra nice gifts and dreamed about what our future anniversaries and Valentine’s days would look like as a family. It took us 11 years of marriage before we had our first baby, so we have had plenty of special Valentine’s day celebrations. 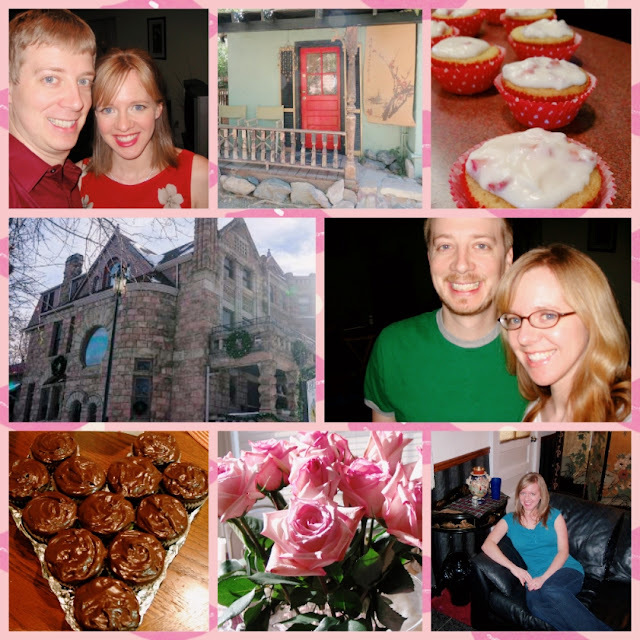 I have so many sweet memories of weekend getaways, dinner and a show, shopping dates, times when Ry cooked for me and gave me flowers, as well as plenty of cupcakes (apparently it’s a thing with us). Eleven years felt like a long time to enjoy a few special Valentine’s days and weekends “to ourselves”. We still think that having dates is important, but we’re also giving ourselves some slack lately. And this year, there may not be a trip to the mountains, a bed & breakfast, or even the closest big city, but we’ve come to enjoy our sweet little family celebrations just as much. For now, we’ll toast each other over hastily made dinner, with the chatter of an almost four-year-old and the fussing of a hungry baby to set the mood, while we shovel down what we can before it’s time to clean up, play together, and get the kids in bed a little early. All I know is there is a bouquet of pink and red roses on my kitchen counter, chocolates for dessert, and a romantic movie waiting to reward our efforts if we can pull it all off. Awww, thanks. They are the BEST gifts ever! As soon as 8:00 hits we're "FREEEE!" 🙂 Thanks, I hope you did too. 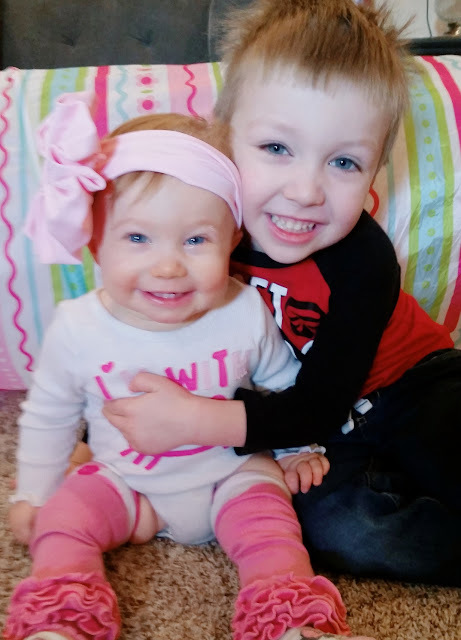 Be still my heart…..your children are adorable! Who needs champagne and roses with gifts like those?! Get the kids to bed early and enjoy each other's company. You can do that a few times a year, probably even a few times a month. You don't need a special occasion for that. Hope you had a good one.